Prince Consort Lodge was erected in 1851 at a cost of £458 14s 7d. (£458.73) on land adjoining the Great Exhibition in Hyde Park. The land was acquired by the Society for Improving the Condition of the Labouring Classes with the influence of their president, the Prince Consort. The two-storey Lodge was designed by Henry Roberts to provide four homes. Each home comprised a living room, three bedrooms, a lavatory and a scullery fitted with a sink, coal bin, plate rack, dust shaft and meat safe. There was a heated airing cupboard in the living room. The building cost £458 14s 7d. (£458.73). 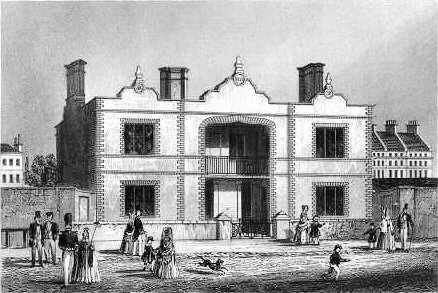 In 1852 the building was rebuilt in Kennington Park by William Higgs to house two park attendants and a cottage museum. The inscription under the balcony reads ‘Model houses for families erected by HRH Prince Albert’.